Levinas and Lacan, two giants of contemporary theory, represent schools of thought that seem poles apart. In this major new work, Mari Ruti charts the ethical terrain between them. At first glance, Levinansian and Lacanian approaches may seem more or less incompatible, and in many ways they are, particularly in their understanding of the self-other relationship. For both Levinas and Lacan, the subject's relationship to the other is primary in the sense that the subject, literally, does not exist without the other, but they see the challenge of ethics quite differently: while Levinas laments our failure to adequately meet the ethical demand arising from the other, Lacan laments the consequences of our failure to adequately escape the forms this demand frequently takes. Although this book outlines the major differences between Levinas and Judith Butler on the one hand and Lacan, Slavoj Zizek, and Alain Badiou on the other, Ruti proposes that underneath these differences one can discern a shared concern with the thorny relationship between the singularity of experience and the universality of ethics. 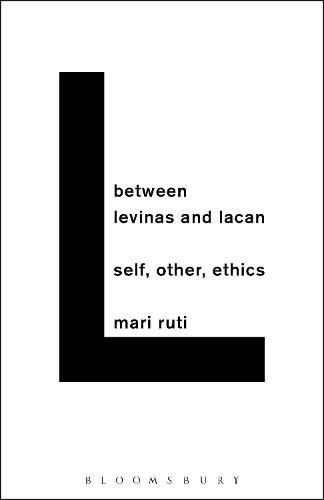 Between Levinas and Lacan is an important new book for anyone interested in contemporary theory, ethics, psychoanalysis, and feminist and queer theory.